Launch activities at the Xichang Satellite Launch Center for 2018 ended with the launch of another secretive Tongxin Jishu Shiyan Weixing (TJSW) satellite on Christmas Day. The launch took place at 16:53 UTC using a Long March-3C/G2 (Chang Zheng-3C/G2) launch vehicle from the LC3 launch complex. As with the previous launch of Communications Engineering Test Satellites, not much information is available regarding the satellite. When TJSW-1 was launched on September 12, 2015, Chinese authorities said the new satellite was a geostationary communications technology test satellite to be mainly used to conduct a test on Ka-band in broadband communication (frequencies between 27 and 40 GHz). Previous to the launch of TJSW-1, there were rumors circling on specialized Chinese space forums that pointed to the launch of the first Great Wall (Changcheng) satellite, a new series of Chinese satellites dedicated to early warning similar to the American Space Based Infra-Red Sensor satellites. Back then, Japan’s Kyodo News reported that China was building a missile defense system to detect a ballistic missile attack. The report was based on Chinese military documents that referred to the development of an experimental early warning satellite program. Additionally, the report pointed out that China had started the development of an X-band radar system as part of a ground-based interceptor system. Eventually, TJSW-1 was orbited on a geostationary orbit and no other information was revealed. Later it was known that the satellite had successfully deployed China’s first large aperture reflector antenna in orbit. The same secrecy surrounded the launch of TJSW-2 on January 5, 2017. The lack of information and the nature of the launch preparations, with only marginal references to the payload, point to the secretive nature of the satellite, also designated Huoyan-1. The events leading to the TJSW-3 were very similar to the events leading to the launch of TJSW-2, with the general public only knowing about the launch at the beginning of December 2018. Then, the launch of TJSW-2 was scheduled for the end of 2016, only to be delayed to January 2017. No news of launch preparations was published, with only a picture of the upper composite of the launcher being publish on Chinese space forums on December 13. Before that, on December 8, a small note from the China Academy of Launch Technology stated that the Long March-3 series would conduct 14 launches, with the last one taking place before the end of the year. This mission used the Long March 3C rocket. The Long March-3C was developed to fill the gap between the Long March-3A and the Long March-3B, having a payload capacity of 3,800 kg for GTO or 9,100 kg for LEO. This is a three stage launch vehicle identical to the CZ-3B but only using two of the strap-on boosters on its first stage. CZ-3C provides two types of fairing and two kinds of fairing encapsulating process and four different payload interfaces, which is the same as CZ-3B launch vehicle. The various fairing and interface adapter and the suitable launch capacity make CZ-3C a good choice for the user to choose the launch service. The rocket structure also combines all sub-systems together and is composed of two strap-on boosters, a first stage, a second stage, a third stage and payload fairing. The first two stages, as well as the two strap-on boosters, use hypergolic (N2O4/UDMH) fuel while the third stage uses cryogenic (LOX/LH2) fuel. The total length of the CZ-3C is 54.838 meters, with a diameter of 3.35 meters on the core stage and 3.00 meters on the third stage. Each strap-on booster is equipped with a DaFY5-1 engine with a 704.4 kN thrust and a specific impulse of 2556.2 Ns/kg. 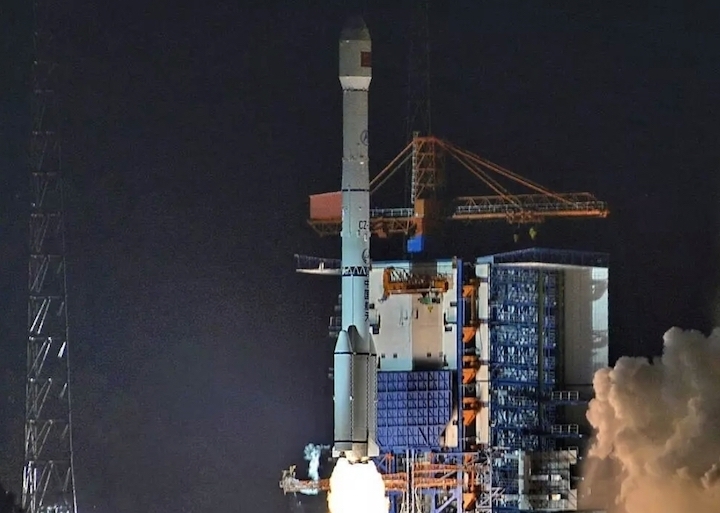 The strap-on booster diameter is 2.25 m and the strap-on booster length is 15.326 m.
China carried out the launch of a secretive communications satellite to geostationary orbit on Monday from the Xichang launch centre in what was the country's 38th launch of 2018. Liftoff of the Long March 3C launch vehicle carrying the satellite occurred at 16:53 UTC Monday from the launch site in southwest China, with local time at 00:53 December 25. The People's Liberation Army Daily newspaper confirmed success of the launch 40 minutes later via social media, with the satellite inserted into geostationary transfer orbit. 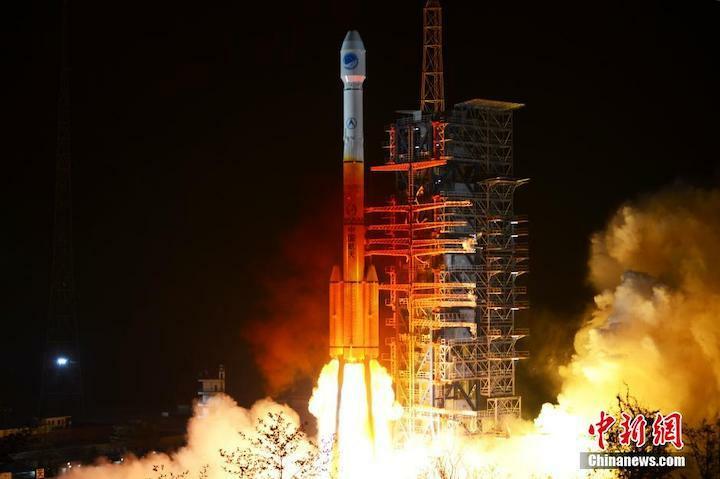 The payload is known as the communication technology test satellite 3 (Tongxin Jishu Shiyan Weixing-3), or TJS-3, with few further details offered by Chinese media. TJS satellites are perceived by outside observers to be classified spacecraft for the Chinese military, and possibly early warning satellites for detecting and tracking ballistic missiles, similar to the US Space-Based Infrared System (SBIRS), and would, if correct, provide China with capabilities that are otherwise absent. Reporting on the TJS-1 satellite, developed by the China Academy of Space Technology, stated it would test Ka-Band frequency broadband communications. TJS-2, this time developed by the Shanghai Academy of Spaceflight Technology (SAST) and launched in January 2017, was similarly described by Chinese media as simply an experimental communications satellite. Differences in the launches suggest the utility of the payloads may vary. The Long March 3C is very similar to the Long March 3B launch vehicle which on December 7 sent the Chang'e-4 lunar far side lander and rover towards the Moon, using two side boosters instead of the 3B's four. With 38 launches this year so far China will finish ahead of both the United States and Russia in launch rate for the first time. 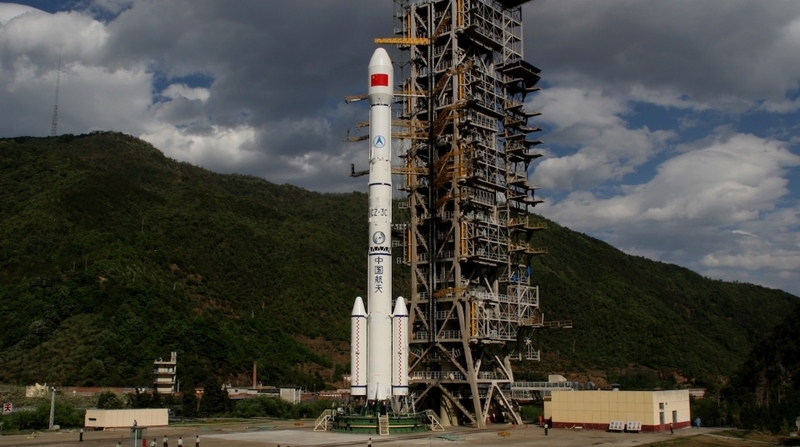 The main contractor for the Chinese space programme CASC stated at the start of the year that it was targeting around 35 launches, meaning commercial launches could take the national number close to 40. 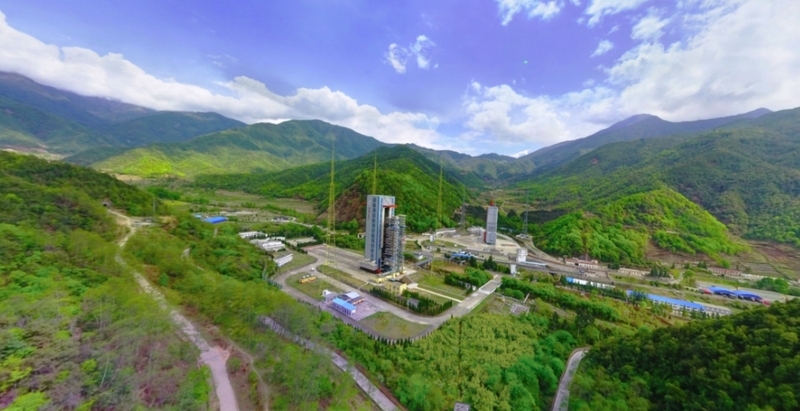 On December 29 at around 08:00 UTC CASC will launch the first of its Hongyan satellites as a technology verification for a 320-plus-satellite constellation for low Earth orbit broadband communications (not to be confused with first 'Hongyun' satellite launched for another state-owned behemoth on the weekend). CASC has reached its own target and China has smashed its national record of 22 launches, set in 2016. However the flagship Long March 5 heavy-lift launcher remains grounded despite expecting a return-to-flight late this year, as it awaits its large Shijian-20 payload. China leads the world for launch rate in 2018, with the United States, which is set to launch a number of missions in the coming days, on 34 (including three Electron launches from New Zealand). Russia with 18, Europe (8), India (7) and Japan (6) all follow. However in terms of wet launch mass the United States has sent more than double China's tonnage into a variety of orbits.